The first Nokia smartphone powered by Android™. Elegant simplicity. Trusted reliability. Lasting quality. We are unlocking new and extraordinary possibilities for billions of people. And we’re just getting started, with new smartphones coming in 2017. Nokia has finally announced its first 2017 Android phone, which marks its return to the mainstream mobile market. This one's available now, but only in China. Fortunately, there are more new Nokia Android phones to come (starting at MWC 2017) that will be sold in other regions. For example, Qualcomm was rumored to have shown the upcoming Nokia 8 at CES, while a Snapdragon 835-toting Nokia P1 is rumored for MWC. This Nokia 6 is merely a taster. Here's what you need to know about the Nokia Android phone release date, price, and specifications. This isn’t the first time Nokia-branded handsets running Android are due to arrive in 2017, actually after announcing its plans to return to tablets and handsets back in May, Nokia is providing more details today as it formalizes a licensing agreement with HMD Global (HMD), which is the new home of Nokia phones that comes under a brand licensing deal that will last for at least 10 years. It was Nokia D1C with Android Nougat, 3GB RAM, Full HD display and 13MP camera was listed on AnTuTu benchmarks website recently. Later today we have come to its agreement with HMD based in Finland, Nokia is launching a new phones section on its site, marking the return of its branded smartphones and tablets after Microsoft acquired its phone business and killed off the Nokia brand in favor of Lumia for smartphones. 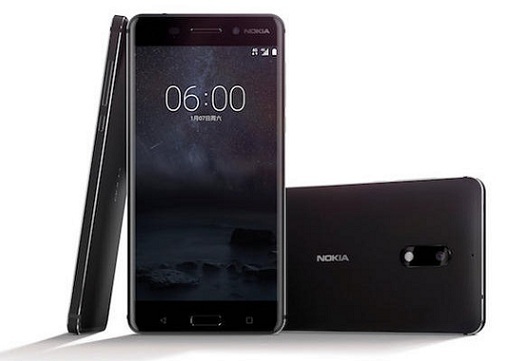 The Nokia 6 is official on Nokia's site, branded as "the first Nokia smartphone powered by Android" (there was this, but it was technically developed by Microsoft) and will be released in early 2017. The device is being manufactured by HMD, and the company is now the exclusive licensee of the Nokia brand for phones and tablets. Official specs from HMD Global's website include a 5.5" "full HD" Gorilla Glass screen, a Snapdragon 430 CPU, 4GB of RAM, 64GB of Storage, and Android Nougat. In addition, there is a 16 MP phase detection auto focus camera on the back, and an 8 MP camera on the front. The phone is unfortunately China-exclusive, which would explain the microUSB port.